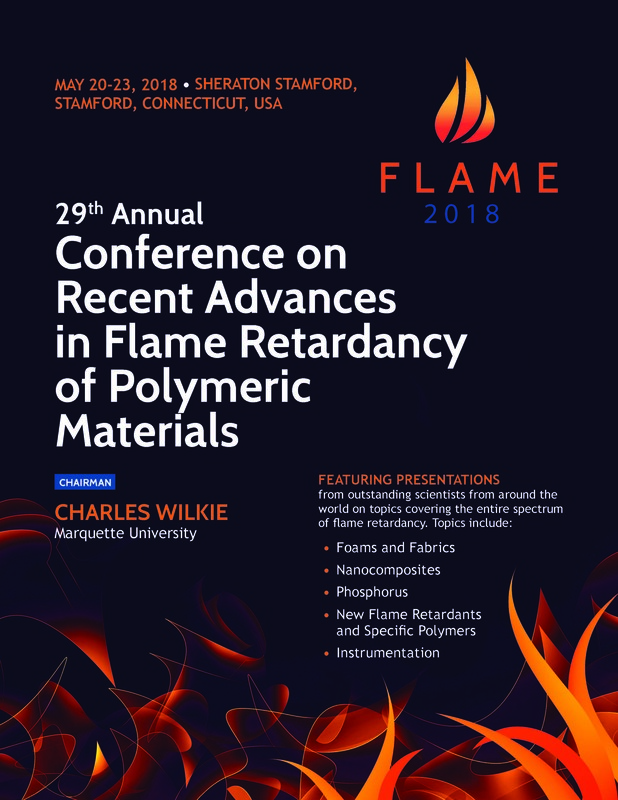 The annual FLAME conference is a coming together of flame retardancy scientists, industry experts, professors and students, featuring more than 30 papers on a variety of topics. As the 29th annual conference hosted by BCC Research, the event has set the standard in the industry for covering the latest developments in flame retardancy. Join us for FLAME 2017! To break tradition, the BCC meetings on Flame Retardancy will be held in June. This year marks the 28th year of the annual meetings. These meetings are a “gathering of the clan” as scientists in the field come from around the world to participate. Attendees travel from England, France, Spain, Italy, Germany, Hungary, Korea, India and China, in addition to those from the U.S. and Canada. Participants include those from both the academic and the industrial sectors, with an equal number of presentations from both. Every year, the BCC meetings on Flame Retardancy are held in late May. This year marks the 27th year of the annual meetings. These meetings are a “gathering of the clan” as scientists in the field come from around the world to participate. Attendees travel from from England, France, Spain, Italy, Germany, Hungary, Korea, Thailand, and China, in addition to those from the U.S. and Canada. Participants include those from both the academic and the industrial sectors, with an equal number of presentations from both.